The truth is that when searching for an air conditioner, people essentially take off to the market without knowing much. Basing a lot of their information on what they read about on the internet or what a friend recommends. There are determining factors that you need to know about to ensure you select the ac unit that is best for your home. In this article, we’ll be acquainting you with all the data you need to make the right decision. It’s very important that you choose the correct AC unit for your home. Indeed, it does. Pick too small a unit; you will end up with little or no cooling in the room/area. 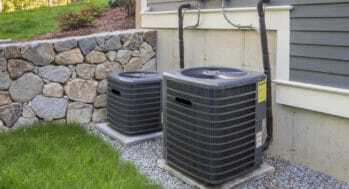 In addition, when you buy a unit smaller than what is needed, your AC unit will overheat frequently. Typically, the bigger the unit the more expensive it is. Make sure you don’t pick a unit too small to try and save money. This will cost your more in the long run. Also, choosing a unit too big for an area will do no good. It will keep the air humid and the room damp, making you feel very uncomfortable. If you are unsure of the size and/or need to get an AC unit installed, Nelson Comfort is a call away. Dial 513-561-7517 now to schedule an appointment! Is a Ductless Air Conditioning System Right for My Cincinnati Home?